Count on us for all of your roofing needs. No project is too big or too small, as we have the experience, licensing, and commitment to customer satisfaction necessary to ensure lasting results. Maintaining your roof serves two vital purposes—protecting your dwelling and preserving curb appeal. Simply put, a well-maintained house will sell faster and for a better price than a home that isn’t. 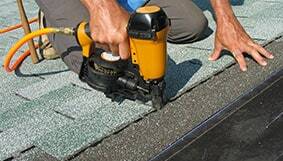 We provide expert roofing information about how a job is done correctly. 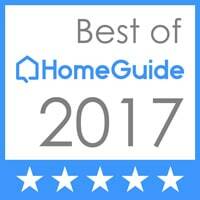 Topics range from signs you need a new roof, what to ask and look for in a roofing contractor, and much more. Count on Doing It Right Roofing, Siding, Remodeling LLC for quality work and great value. We includes a comprehensive list of what to expect when you hire our company! 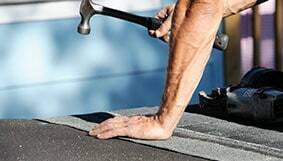 Depend on Doing It Right Roofing, Siding, and Remodeling LLC to get your roofing job done right the first time. We eliminate many of the hassles that home and business owners often encounter with large remodeling projects. Residents have trusted us as their local roofing contractors in Pittsburgh, PA since 1984. The more you learn about us, the more you’ll trust in our expertise. A new roof is a necessary investment. It’s also a large one that many home and business owners cannot afford to pay all at once. When you find that your roof is no longer holding up to environmental demands, you’re going to need a roofing company you can trust for quality work and great value. Count on us for flexible roof financing options. We will work with you to budget correctly for all services and materials. Whether your project is commercial or residential, we’ll make sure you get an appealing, long-lasting roof that protects your dwelling for decades to come. 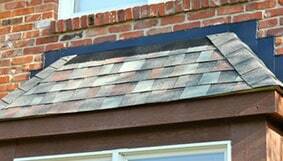 The typical life expectancy of an asphalt shingled roof is about 20 years. There are, however, many factors contributing to the longevity of your roof, including the number of shingle layers, proper ventilation, and the means in which it was installed. If you see shingles that are missing or notice curling and buckling within the structure of your shingles, it is time to call in a specialist for your roof repair in Pittsburgh. These small problems can lead to big leaks that cause damage to the overall structure of your home. Flashing problems along your chimney can also lead to leaks. Additionally, you should keep an eye out for shingle granules within your gutters or runoff as this could show extreme age and be a sign that your roof might be ready for renewal. 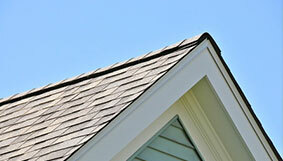 Trust our pros for objectively sound roofing advice. We’ll let you know if it’s time for replacement or if a simple patch job will suffice. 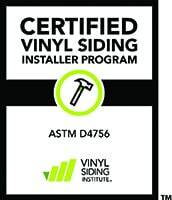 We’re also happy to help you select materials that benefit you in the short- and long-term, including energy efficiency, ease of maintenance, aesthetic, and much more. Doing It Right Roofing, Siding, and Remodeling LLC provides an honest and accurate estimate for each and every job we perform. We stick to budget and use some of the most skilled tradesmen in the Pittsburgh area to complete our jobs. It all adds up to a job done right the first time, every time. Rely on us for all of your roofing needs. Contact us today to schedule a free, on-site estimate from our Pittsburgh roofing contractors. We understand that home improvements do not always fit into your budget. That is why we have financing options to make it easier. 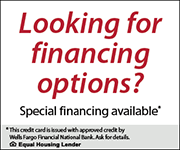 Please fill out the form below to inquire about our financing. A company representative will be in touch with you to discuss your options. Please note: By filling out this form you are NOT authorizing us to access your personal credit information.